Today is my last day at dxw. It’s been an inspiring, educational and exciting four years. I’ve watched the company grow from thirteen people in a small office on Provost Street to the forty-odd strong team in our palatial (if currently pretty toasty) offices in Hoxton Square. And they’re showing no signs of slowing, this week dxw announced plans to expand further, with the intent of opening an office in Leeds. I joined dxw as an Account Manager in 2014 and if I’m completely honest I knew very little about the public sector, agile development or multidisciplinary teams back then. I am very fortunate that Harry took a chance on me and gave me the opportunity to learn all that I have since. Back when I joined, Ann Kempster was dxw’s first and only delivery manager and it feels nicely circular that for the last project I worked on for dxw, Ann (currently at Crown Commercial Service) was the client. After a year of Account Management I made the jump to delivery manager and I’ve not looked back. Working in multidisciplinary teams, delivering agile projects across the public sector has been an excellent experience. I’ve been fortunate enough to work with a wide variety of dxw’s clients over the years including the Judiciary, NHS England, the Government Digital Service, Defra, Cabinet Office, Department of Health, Thames Valley Housing Association, Department for Education, Crown Commercial Service, Prime Minister’s Office, Department for Communities and Local Government and Department for International Trade. I couldn’t be more proud of the work that we’ve done. 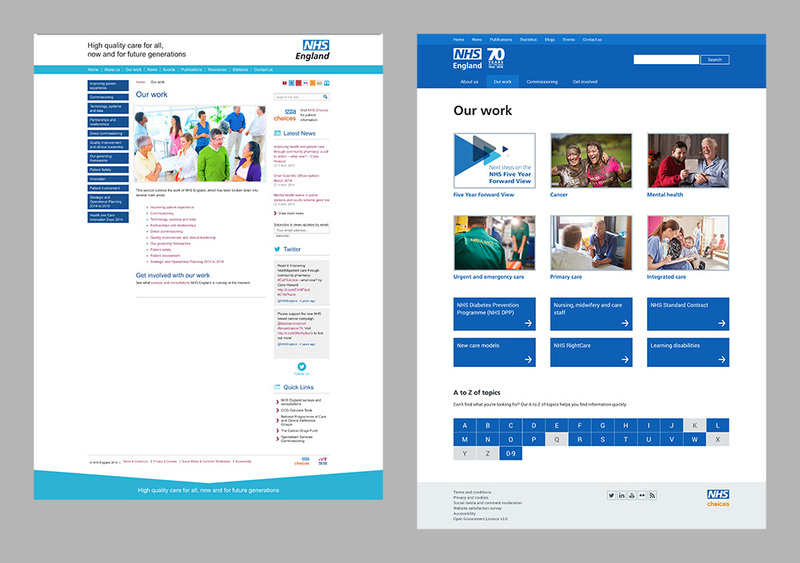 In particular the work we did to improve NHS England’s websites. 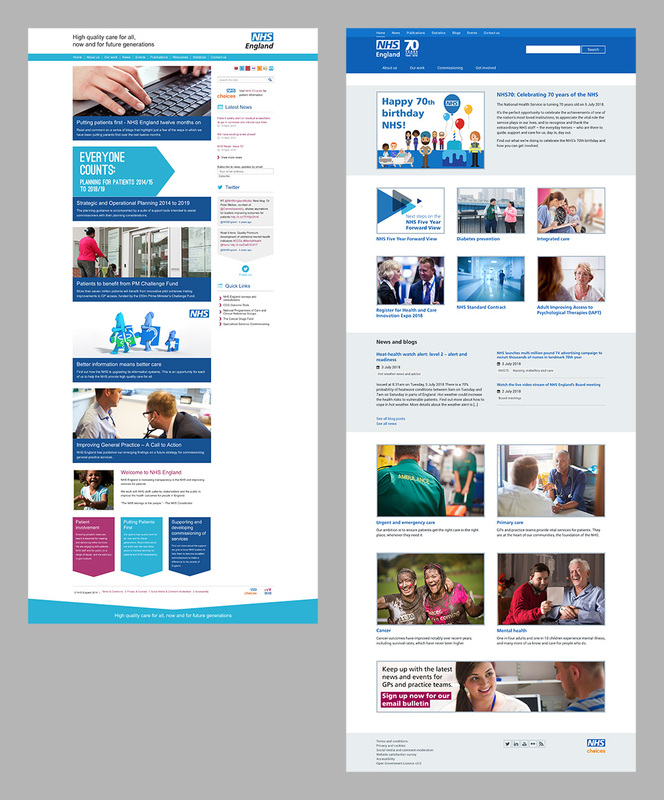 Working closely with the NHS England team over the last four years we have made continued improvements to the design, usability and capabilities of their sites. 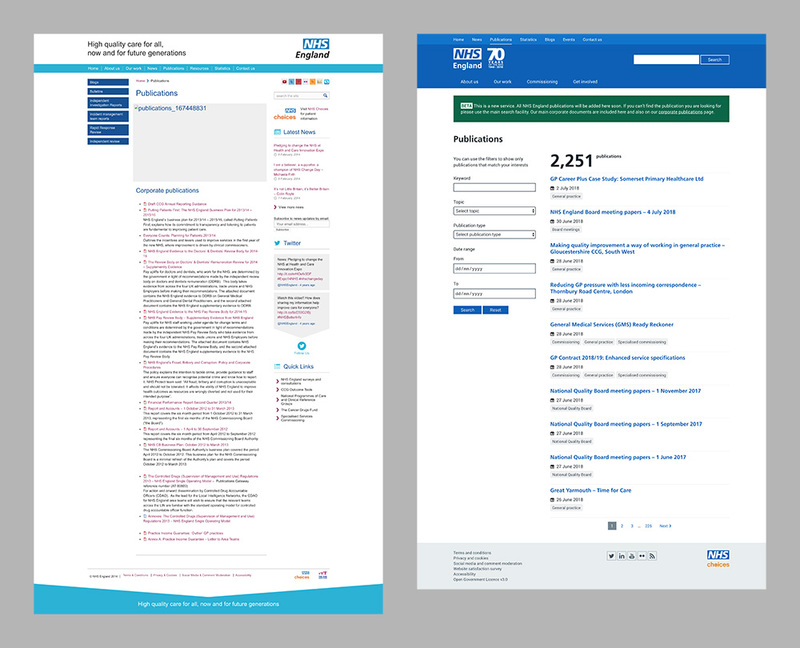 We’ve given them tools to create more engaging content and made drastic improvements to their publications section and the site-wide search. I shall miss the team and clients greatly but it’s time for me to start a new chapter. Buoyed by the successes I’ve experienced with dxw I’m off to try going it alone as a freelance Delivery Manager and Agile Coach. My first project will take me away from the public sector, I’ll be working for Lloyds Banking Group, but I’m certain you’ll see me around again in the not-to-distant future. I wish dxw the very best for the future and I’m glad to have been a part of its story.